Thank you for taking part. See you again in blackforest one day? days after blackforest3days 2015! Twe are happy that you enjoyed the blackforest3days even it was raining most of the time. We had an unique permission for the execution of the competition, with strict terms. Further orienteering-activities are hereby completly forbidden! Please respect that. The weather forecast is changing every day and differs from source to source. So be sure that the nights are still really cold in the blackforest (~1000 m), so that snow is not excluded. Make sure you prepare for every weather and check the latest forecast... The weather changes really quickly in the blackforest and can be really extreme! The startlists are online now! 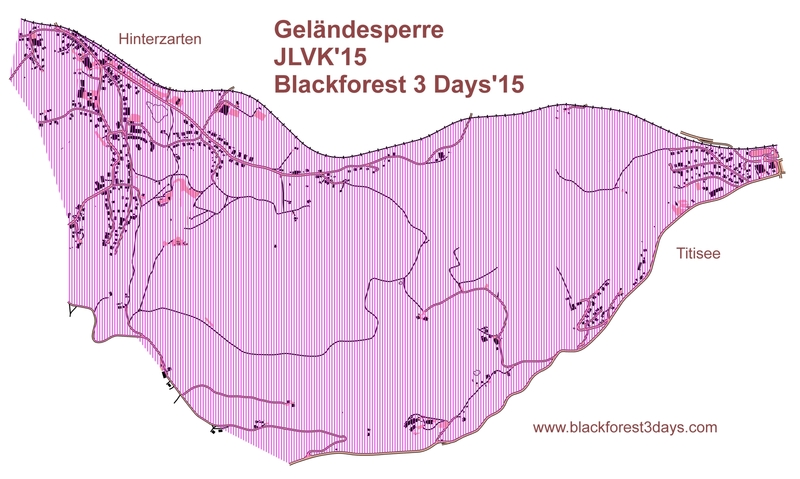 The program for the blackforest3days is public now! We thank everyone for the enthusiasm for the blackforest3days with your 1340 entries for the first entry-date on 1st March. As far as we know, there have never been that many entries two months before a competition in Germany yet! The amount of entries overrun our primary concept, especially for transport, forest and forest owners. Difficult further proceedings led to the result that we can execute the competition with the registered entries but are not allowed to add any more entries. This case was mentioned in the bulletin. After the first entry-date, 1st March, it is not possible to register anymore! Also the daily entries (open-courses) at the competition-centers are not available. We hope that you understand the chosen measure - it was decided with the German orienteering-committee. We are sure that we can handle attractive competitions for the participants and forest-owners following these conditions. We are looking forward to welcoming all, especially those of you who weren’t able to sign up to this early date, for other great competitions in the beautiful blackforest in the upcoming years. Because of the really high amount of entries already for the first entry-date, we have to check the permissons, if we can handle any further entries. On 08.03.2015 we will add more information about it here. The Trailer has been released. Big thanks to Puresive Films. Go watch it here! The first Bulletin has been uploaded - you can find it here. 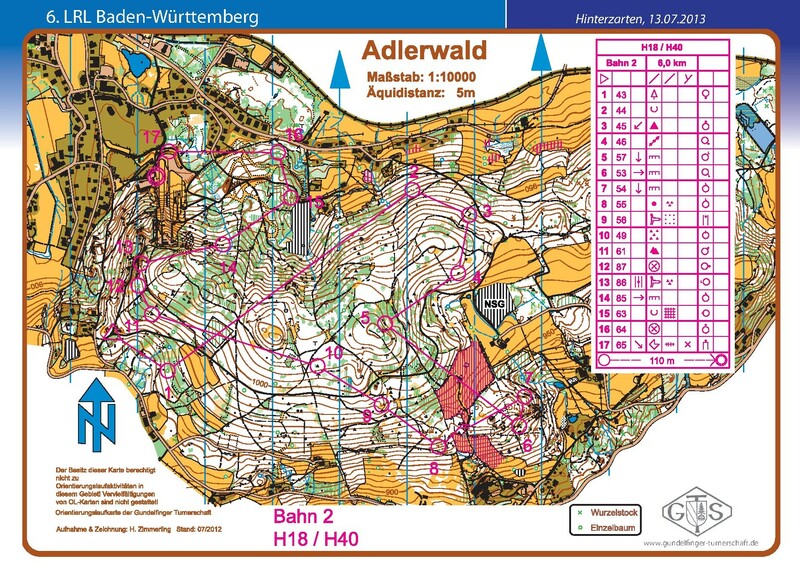 The area between Hinterzarten and Titisee has been locked now for all orienteers. Note that this area is not allowed to be entered! The map from the competition in 2013 has been uploaded for all competitiors. You can find it here. 4000 flyers are printed and ready to be shared with you.